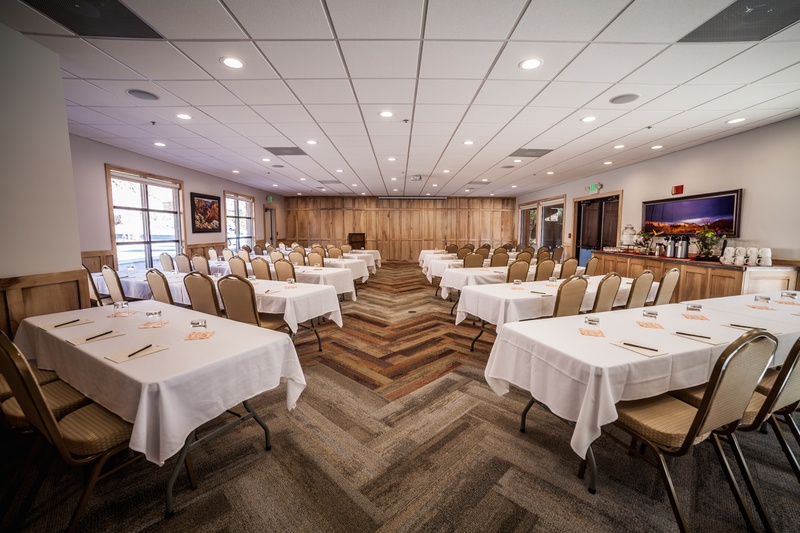 The members of the Cable Mountain Lodge team wish to thank you for considering our property’s venues during your upcoming retreat, gathering, workshop, reception, etc. We will do our part to offer a facility and environment that is suitable for your needs. If any questions remain unanswered upon review of this agreement, please let us know. We want to assist so your preparations may all go according to plan. Thank you. or classroom seating for up to 32 persons. – The conference room is available for rental from 7am- 9pm daily. – The minimum rental period is two (2) hours. including any time needed by the caterer, coordinator, florist, etc. on the Conference Room Request Form.